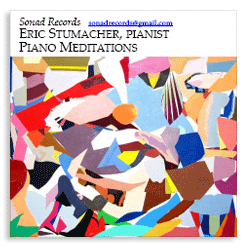 Eric Stumacher has performed concerti, solo recitals, and chamber music concerts, and conducted orchestra concerts worldwide to critical acclaim for over forty years. 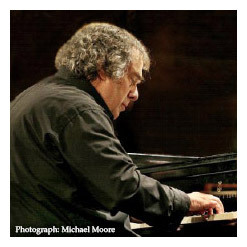 For thirty-five years, Mr. Stumacher served as founder, pianist, and executive and artistic director of the Apple Hill Chamber Players, Apple Hill, and the Apple Hill Playing for Peace Project, before establishing the Sonad Project, www.sonadproject.org, in October, 2007. Mr. Stumacher is a graduate of the University of Pennsylvania and The Juilliard School. He and his wife Kathy, violist and administrator, live in Nelson, NH, and have three amazing children and five astonishing grandchildren. Satie, a close friend of Debussy, was noted for playing his music on a piano in his favorite Paris cafe for hours on end. His concept included that it doesn’t matter where you start, where you end, or how long you play; the goal is to immediately access and convey vivid beauty and expression. After their composition, Debussy insisted that his two books, Preludes for Piano, which included this work, be performed without titles. He wanted the audience to use their imaginations with total freedom. Debussy agreed later in life to add titles in small print at the end of each piece, e.g. 4. Chopin: Nocturne in C-Sharp Minor, op. post. This stunning work was popularized in the movie “The Pianist”, in a performance depicted in a radio station in Warsaw which was being bombed by the Nazis during the broadcast. Brahms loved folk music, and this work is based on a Scottish lullaby. 8 and 9. Schumann Scenes from Childhood: About Strange Lands and People; Traumerei. Scenes from Childhood were adoringly played by Robert and Clara Schumann for each other many evenings as part of their courtship. And both of them played these works as favorite bedtime stories for their children. 10, 11 and 12: Schubert Andante from D. 640 and Molto moderato and Andante sostenuto from D. 960. These stunningly beautiful, profound, and moving works were unpublished in Schubert’s lifetime. Throughout his adult life, Schubert resisted his friends’ attempts to have him perform his music in public. Schubert preferred to play his music in “Schubertiades”, informal gatherings of his musician/friends. Schubert proclaimed: “This music is too difficult to perform in public.” This non-public approach remained true in the last year of his tragically short life – he died at age 31 — during which Schubert composed not only the Sonata in B-Flat D. 960, the first two movements of which are presented here, but also the Great Symphony No. 9 in C, the song cycles Die Wintereise and Die Schone Millerin, and the Cello Quintet in C, among others. The textual and expressive parallels between the slow movement of D 960 and the slow movement of the Cello Quintet in C are remarkable.